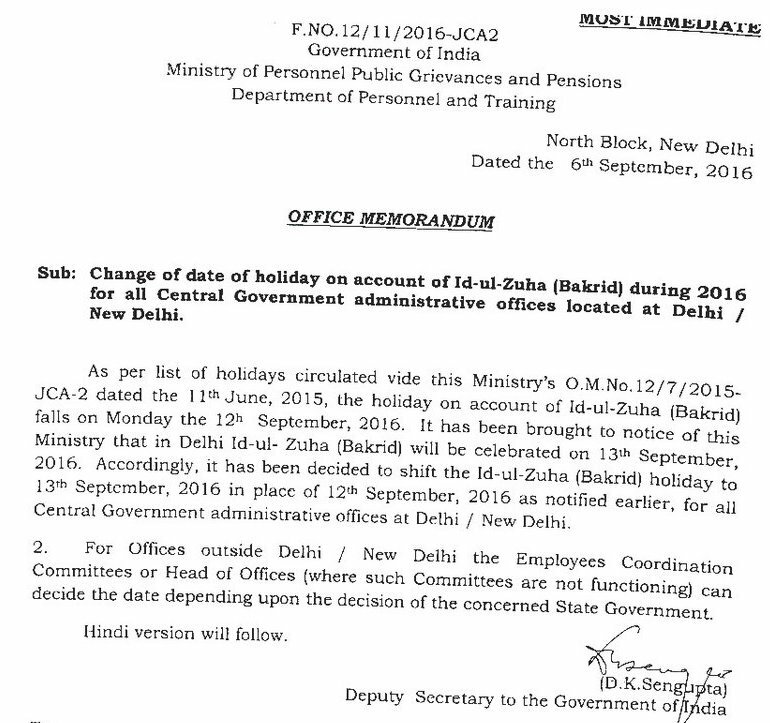 Central Government Declared Bakird Festival Holiday 13/09/2016 instead of 12/09/2016. The Holiday account of Id-ul-Zuha ( Bakrid ) Declared on 13-09-2016 instead of 12-09-2016. Central Office Bakrid holiday change on 13th September, 2016. Bakrid Festival Holiday Copy Download.